In 2008, Brian followed a hunch and left his family’s golf center business, stepping into the unknown. Ever since, inspiration has followed. 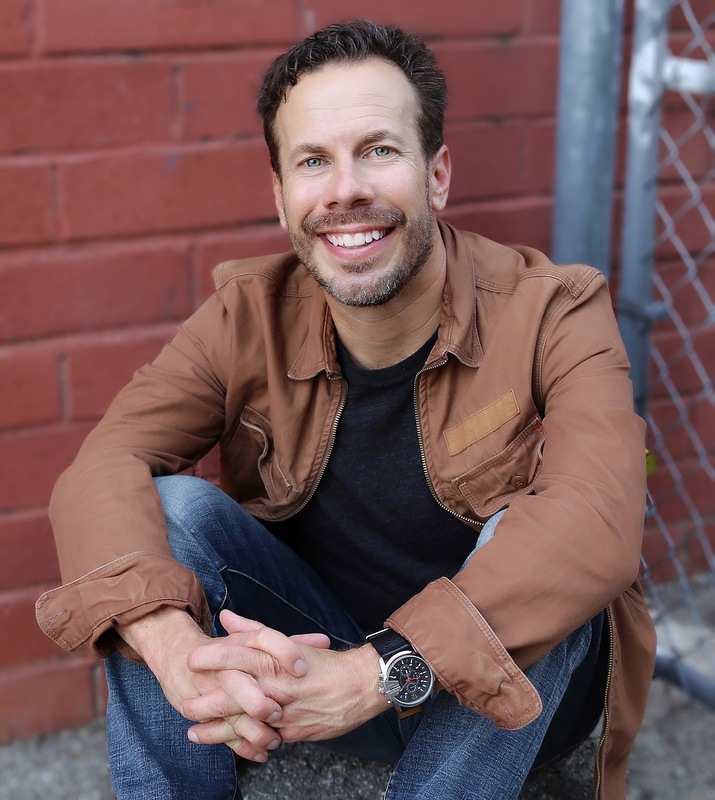 Brian is the award-winning author of Brian’s List – 26 1/2 Easy To Use Ideas on How to Live A Fun, Balanced, and Healthy Life! This book won a Next Generation Indie Book Award in the Self-Help category. He also wrote Finding Your Voice, which was an award-winning Finalist in both the USA Book News and the Indie Excellence Book Awards. His first children’s book Steve the Alien was an Amazon #1 Best-Seller and his second, Lucy and Chester’s Amazing Adventures! was an Amazon #1 New Release. His brand new self-improvement book Habits for Success – Inspired Ideas to Help You Soar has been incredibly received and getting rave reviews. Brian is an inspiring TEDx motivational speaker (Watch Now) whose passion for helping others comes out in his empowering and heartfelt message. His talks focus on trusting intuition, stepping out of our comfort zones, and achieving our own fulfilling versions of success. Brian walks his talk and happily shares his own journey and personal stories in hopes of authentically inspiring others. Whether it’s a personalized talk, presentation, discussion of his work, or a workshop, Brian’s goal is to be of service, facilitate growth and share. Learn more at his Speaker page. In 2011, Brian created the award-winning Guitar Man, a movie project that he wrote, produced, and acted in that was filmed in downtown Reno, Nevada. Brian created the movie with the idea of sharing the messages that we all have a lot in common, and that our true gifts reside within ourselves. Guitar Man was well received. It was accepted to 11 movie festivals and was a winner at the Love Unlimited Film and Art Festival. Guitar Man can also be viewed on this website and YouTube. Brian has also begun to create a variety of videos featuring his poetry and spoken word pieces. Brian loves to create and share inspiring, positive, and thought-provoking media and recently founded Reawaken Media with this in mind. He will be releasing some of his work under the Reawaken Media brand and establish it as a name to trust in books, film, and video. In addition to currently hosting the podcast Habits for Success and co-hosting the Internet radio show, Let’s Get Real! on 12Radio.com, Brian has had the pleasure of being a guest on over 100 radio and TV shows. You can listen in to some of his favorites on the Speaker page located on this site. Brian loves sharing his experiences of self-growth, empowerment and stepping out of his comfort zone in hopes of inspiring others to take action and do the same . If you feel like Brian would be a valued guest on your radio or TV show, please feel free to reach out and contact him. Brian is an empathetic listener, experienced coach and a trusted accountability partner. When you work with Brian you can expect a kind, caring man who knows the rewards of investing in one’s own self-growth process. Brian is encouraging, authentic and great at helping you work through problems, step out of your comfort zone and reach your true potential. With Brian’s trove of knowledge in creating all forms of media, as well as his extended network of fellow collaborators, it seems only natural that Brian consults on a wide variety of projects. Feel free to contact Brian to see if he can be of assistance to you in your project. Brian was a featured interviewee and co-producer of the 2015 documentary The Last Formula produced by Watery Flame Productions. In addition to acting in his own productions, Brian has been in numerous TV shows, feature films, and commercials. Brian can be seen in the upcoming brand new cable TV series Sangra Negra starring Erik Estrada, Eric Roberts and Anthony McKay. Brian also had the pleasure of being in Prince EA’s inspiring video I Am Not Black, You Are Not White which has garnered over 100 million views worldwide. Brian believes in giving back as much as he has been gifted. He has mentored hundreds of troubled young people, working originally at a boy’s treatment ranch in Northern California and then later as a volunteer mentor at a youth penitentiary in Oregon. Brian is eternally grateful to have gained the valuable lessons of listening, patience and empathy through these experiences. 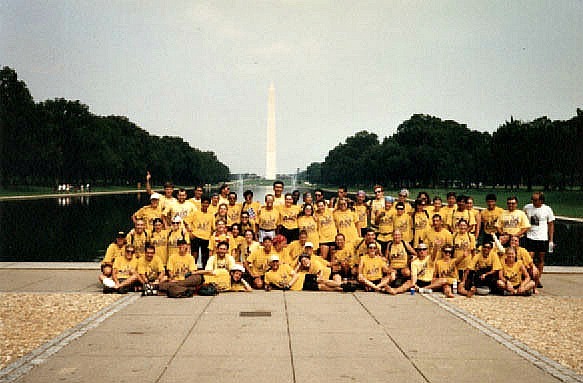 To raise money for charity, Brian joined a group of fellow philanthropic bicyclists to ride 3600 miles from Seattle to Washington D.C. in 1996 to raise money for Bike Aid. He has also been involved in the Big Brother/Big Sister Program. 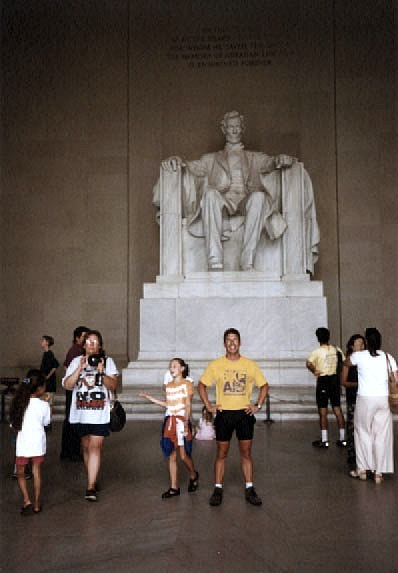 Originally from Salem, Oregon, Brian was raised with solid values and attended Oregon State University where he gained a BS in Worksite Health Promotion. After college, he bounced around living in Iowa, Colorado, Central Oregon and Northern California before coming back to Salem where he took over the management of his family’s golf center business (driving range, retail store, and 9 hole par 3 golf course). He worked at the golf center for 11 years before he followed his intuition and stepped out into the unknown beginning his journey of writing, creating positive content, and acting. Brian has an immensely talented son Michael, a professional photographer and videographer, who he is very proud of. Brian wasn’t satisfied with just riding his bike to school as a kid…he had to take it to a whole different level and ride it across the United States! 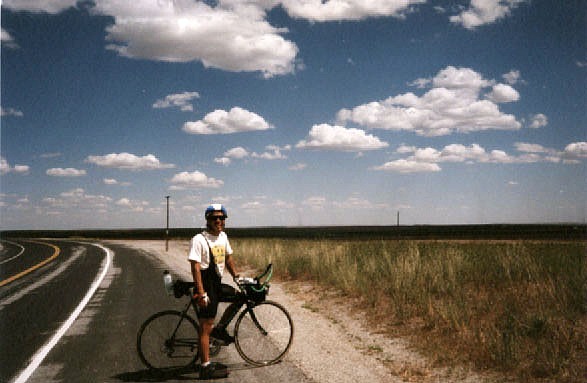 Brian accomplished a life-long goal of riding his bicycle across America when he joined a group of fellow philanthropic bicyclists to raise money for charity and rode from Seattle to Washington D.C. in 1996. The trip was one of the highlights of Brian’s life. Brian has written stories about some of his triathlon and cycling experiences in his blogs and books Habits for Success and Finding Your Voice. Saying Brian stays active is an understatement. Whether it was as a youngster running around and playing every sport available, to high school when he focused on baseball, basketball and then golf where his high school team finished 2nd in the state of Oregon. After a knee injury sidelined him during his freshman year at Oregon State University, Brian turned a potentially devastating injury into a blessing in disguise reaching his goal of finishing a sprint triathlon after rehabilitating his knee. 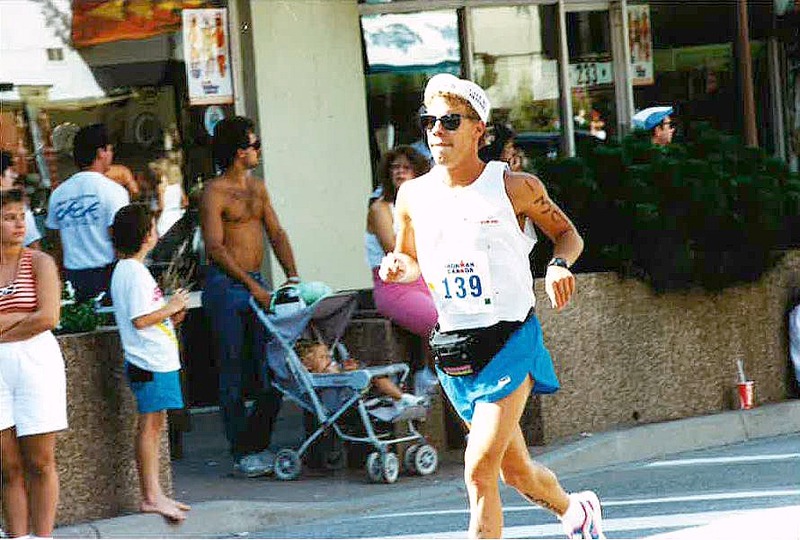 After successfully finishing that first triathlon in 1987, Brian was hooked and continued to race periodically over the course of the next 20 years eventually finishing over 50 races including 4 Ironman distance triathlons (2.4 mile swim, 112 mile bike and 26.2 mile run) as well as numerous marathons. Brian enjoys hiking and finds the balance of exercise and nature a great way to stay in shape as well as foster his intuition. 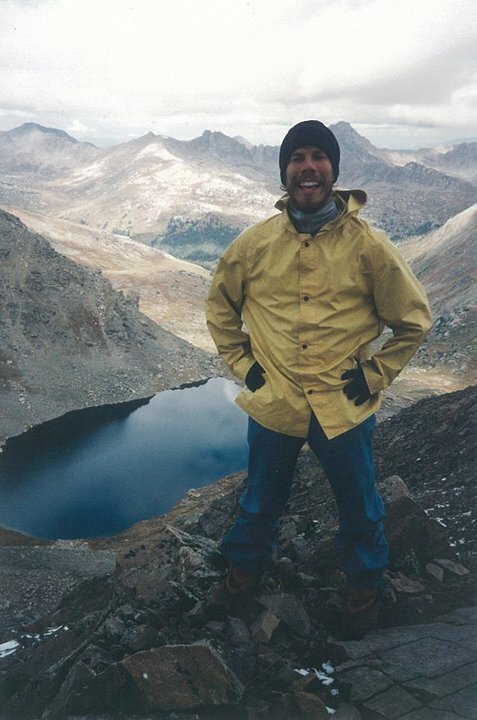 Brian had the great pleasure of taking part in a 23 day Outward Bound backpacking journey in the Collegiate Mountain range of Colorado. He has many fond memories of “roughing it” for almost a month. Currently he enjoys hiking in and around Los Angeles and finds the trees a happy place to contemplate life and his projects. 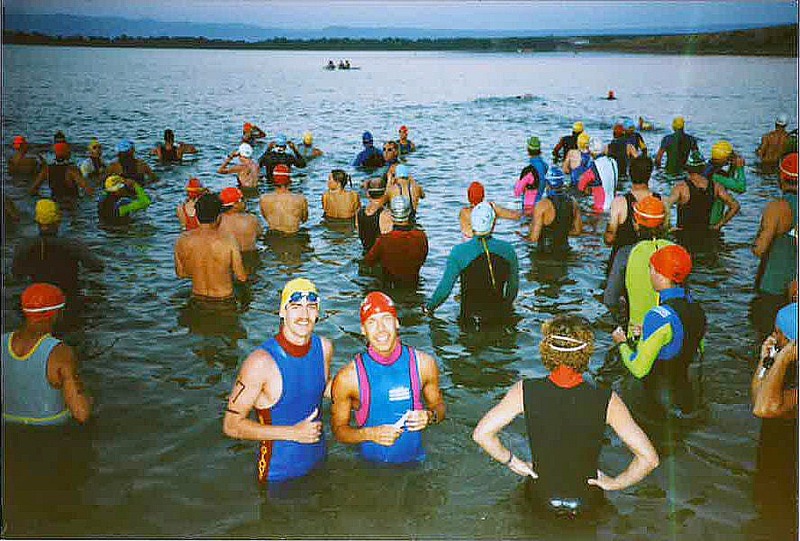 An unfortunate knee injury playing mud football in college turned out to be a blessing in disguise for Brian while during rehabilitation he set a goal to finish a triathlon (swim, bike and run). He used that motivation to get his body and mind stronger than ever and achieved his initial goal of finishing The Cottage Grove Triathlon. Brian was hooked and finished four more races that summer and ten the following year. 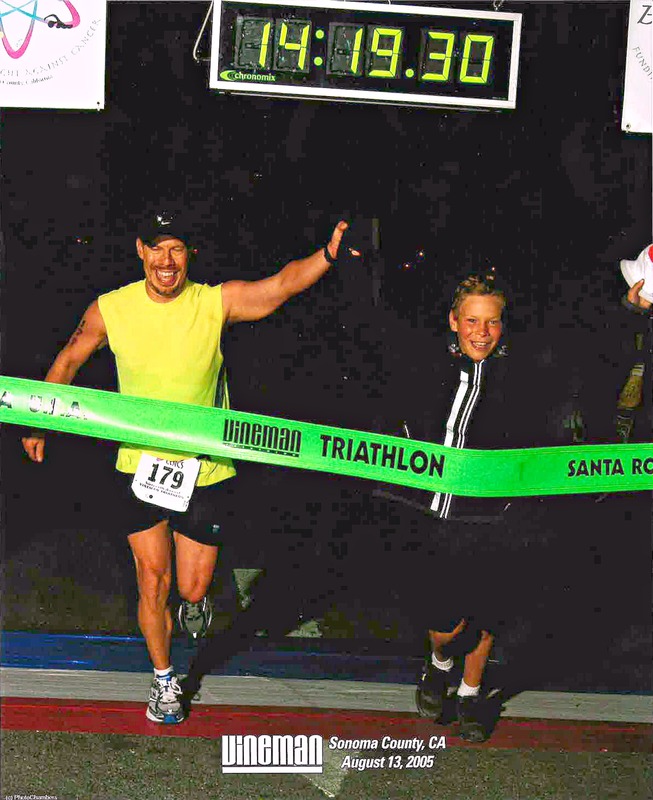 Over the course of the next 20 years Brian finished over 50 triathlons including 4 Ironman distance races (2.4 mile swim, 112 mile bike and 26.2 mile run). 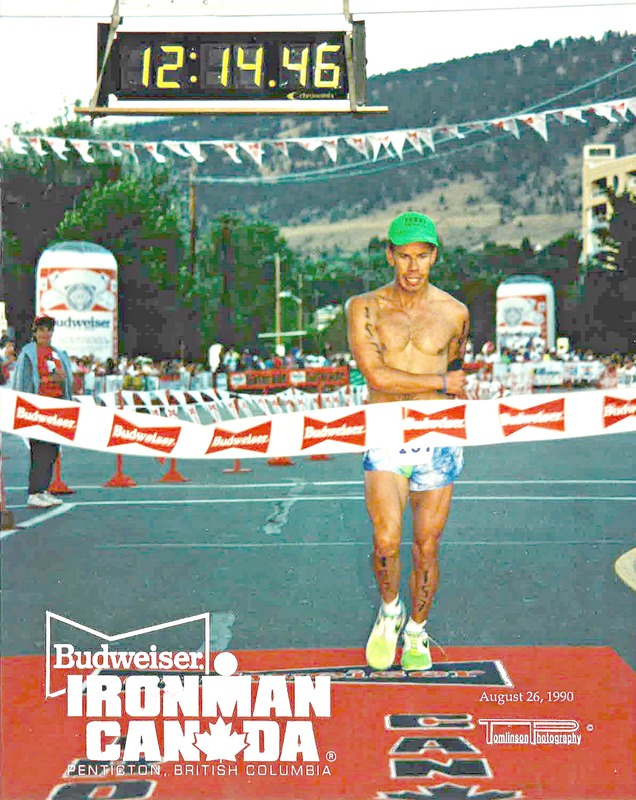 A couple of Brian’s favorite races were the 1989 Ironman Canada (his first Ironman) and the 2005 Vineman Ironman race (where his son Michael was able to run across the finish line with him). 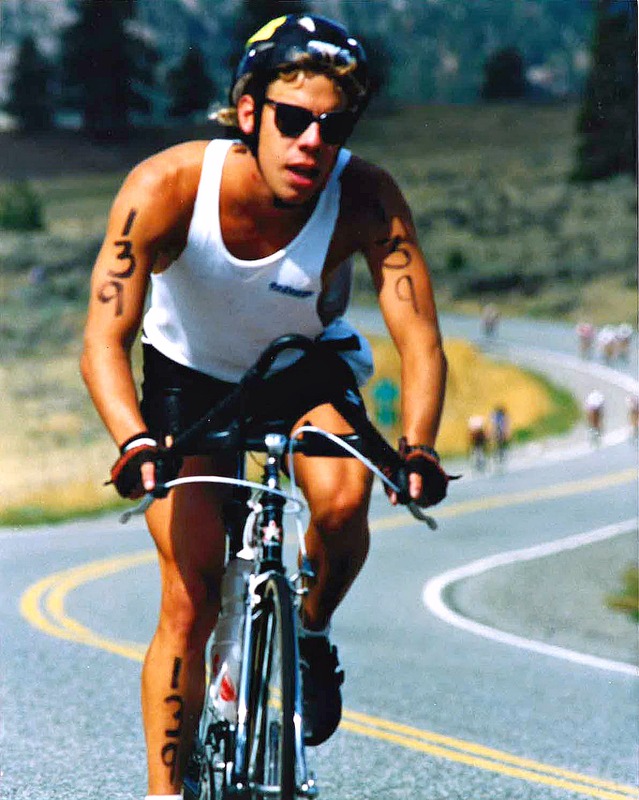 Brian also qualified for and raced in the 1990 United States Triathlon Series National Championships held in Las Vegas. Brian wasn’t satisfied with just riding his bike to school as a kid…he had to take it to a whole different level as an adult and ride it across the country! 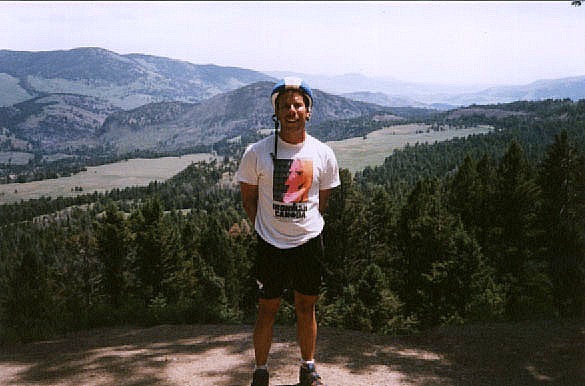 Brian accomplished a life-long goal of riding his bicycle across America when he joined a group of fellow philanthropic bicyclists to raise money for charity and rode from Seattle to Washington D.C. in 1996. The trip was one of the highlights of Brian’s life. They camped in Yellowstone National Park, slept in teepees on Lame Deer Indian Reservation in Montana, and were housed at an Abbey in North Dakota. They rode through towns large and small. Minneapolis, Chicago and Pittsburgh to name a few. Having a great appreciation for history Brian found riding his bike through Little Bighorn Battlefield (where Custer met his fate) and Antietam National Battlefield (Civil War) very haunting and awe-inspiring. He and his fellow cyclists also caught baseball games at Wrigley Field in Chicago and Three Rivers Stadium in Pittsburgh. It was a trip full of good will, hard work and memories to last a lifetime. Brian has written stories about some of his triathlon and cycling experiences in his blogs and book Finding Your Voice.